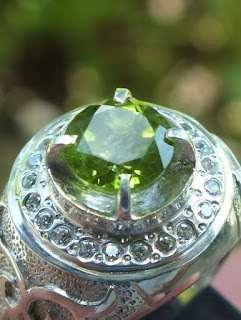 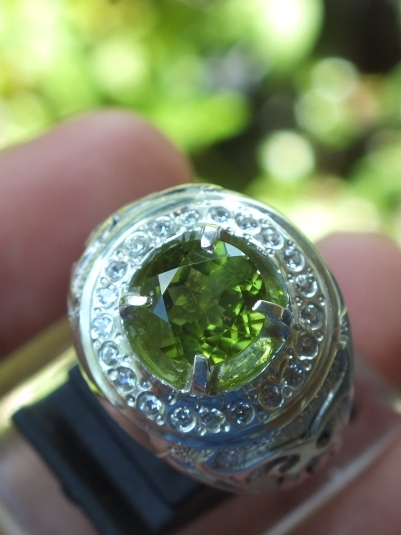 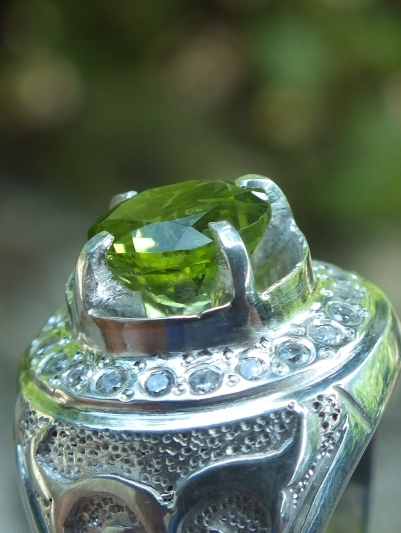 This is a very beautiful Lustrous Natural Peridot set on a well made 19mm silver ring! 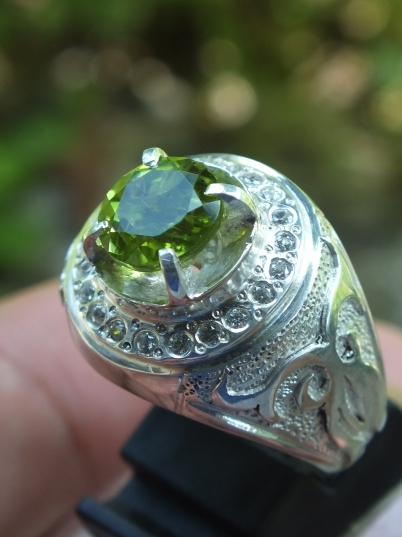 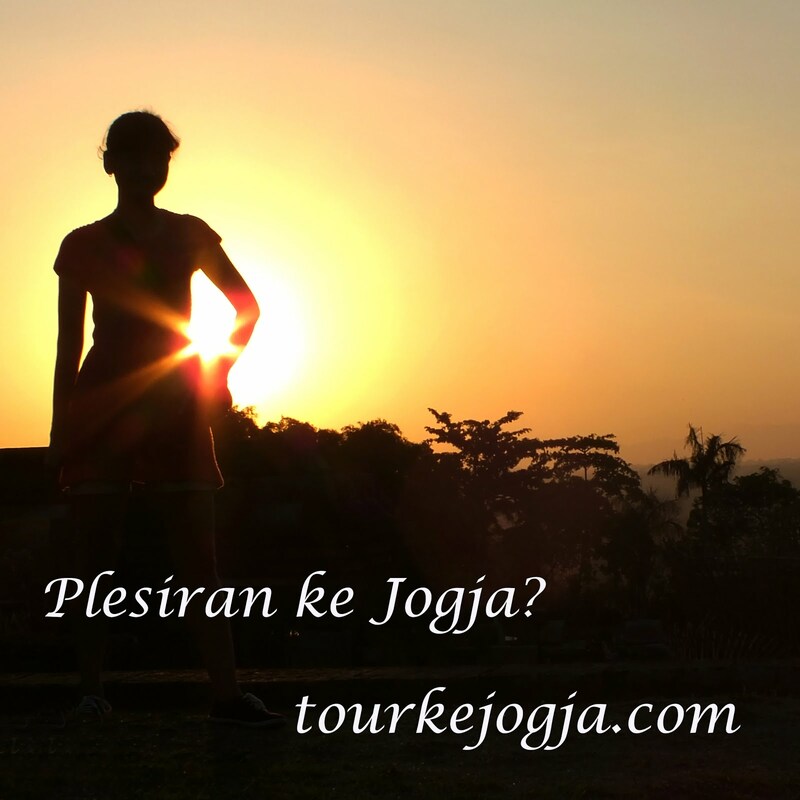 The luster is very good. 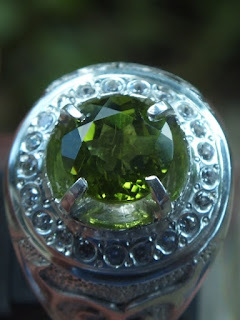 The size of the gems is (est) 8mm x 8mm x 4mm. Get this beautiful natural Peridot now!